Prior to leaving studio life to join the rewarding (yet labyrinthine) world of independent film, producer and festival programming director Monika Skerbelis was the Vice President of the Story Department at Universal Pictures, where she oversaw the feature film story department and worked to develop a number of screenplays. As the director of the American Pavilion Emerging Filmmaker Showcase at the Cannes Film Festival since 2008—not to mention the Artistic & Programming Director at the Big Bear Lake International Film Festival for 13 years—Skerbelis has identified countless new talent and championed them along the way. We asked Skerbelis, the author with partner Rona Edwards of the books The Complete Filmmaker’s Guide to Festivals: Your All Access Pass to Launching Your Film on the Festival Circuit and I Liked It, Didn’t Love It: Screenplay Development from the Inside Out for her advice regarding filmmaker best practices in navigating the festival circuit. There’s a line in your book that reads, “The real work begins after the film is in the can.” What sort of post-wrap work should filmmakers anticipate? Skerbelis: We say that, “the real work begins after your film is in the can” because it doesn’t end there, rather your journey is just beginning. But filmmakers need to think about festival strategy and the cost of prepping and going to film festivals should start when you actually prepare the budget for production itself. There needs to be a line item in the budget – possibly under promotion, that is money set aside for film festival entry fees and attending some (if you can’t afford to go to all of them) as well as promotional materials that will be needed. This all has to begin much earlier than most filmmakers usually think about it. So yes, while the real work begins after the film is in the can, you need to be prepping as you would for production. For short films and short documentaries, filmmakers should target Academy Qualifying Film Festivals. If their film wins the designated award at one of these festivals they will have an opportunity to be considered for an Academy Award nomination. Depending on when their film is ready, they need to decide where they want to premiere the film. Many festivals require a world or U.S. premiere status so it’s important to do your research on what targeted festivals require. What is the first thing to consider when deciding which film festivals to target? Skerbelis: There are over 4,000 film festivals worldwide, so there should be a few that are exactly made for their film. If their film has a primary character who is gay, they should target the LGBTQ film festivals. If it’s a military themed film, they should target festivals that focus on showcasing the lives of veterans. You’ve also got ones that focus on environmental issues, or the Italian, Asian, Greek, French festivals. What other aspects would you look at beyond these categories? Skerbelis: Find films that are similar to yours and see how they’ve done in the festival circuit and where they’ve screened. One filmmaker I know had a documentary about running. He found out that we [Big Bear Lake International Film Festival] had screened a similar film there, and had won an award. I remember in the cover letter the filmmaker mentioned something like, “We see that you had screened this film and we thought you might also like ours.” Start with the submission platforms like Film Freeway, Withoutabox, festhome, Reelport and Short Film Depot (for European films). Click on each festival to see what types of films they’re looking for. What other materials do filmmakers need to have ready besides the finished film? Skerbelis: When filmmakers sign in to these platforms, they’ll need to fill out all the information requested—such as the director’s statement, genre and logline, EPK and cover letter. Some film programmers may not look at every cover letter, but I look at them. Utilize and highlight any aspect of your film or your background that might open the door for you. What about once a filmmaker has been accepted into a festival? Skerbelis: Filmmakers need to think of advertising and marketing early enough in the process to have business cards or postcards for the film. Once I tell a filmmaker that his or her film has been accepted into the festival, I need a trailer, a hi-res and low-res photo [for the festival brochure and the website] and a hi-res digital link. Most festivals will require a DCP for exhibition. They should also be utilizing social media to start building an audience even as they’re shooting the film. When they’re at a Q&A, ask the audience to like their Facebook page. Also, it’s helpful to have promotional items such as lip balm, chocolate bars, markers, pens, etc. that can be placed in the filmmakers lounge or around the festival to remind people about the film and that somehow connect to the film visually. What are some good examples of festival swag that you can recall? Skerbelis: I remember last year at Palm Springs Shortfest it was 100 degrees and Susie Singer Carter —the director of the film called My Mom and the Girl—was at the festival with hand fans with images of her film on them! That’s a fun way to promote your film. When I was standing in line at the Cannes Film Festival Short Film Corner to view films, a filmmaker handed me a postcard with a USB flash drive attached to it that had his film on it. That’s a great way to get a programmer’s attention. 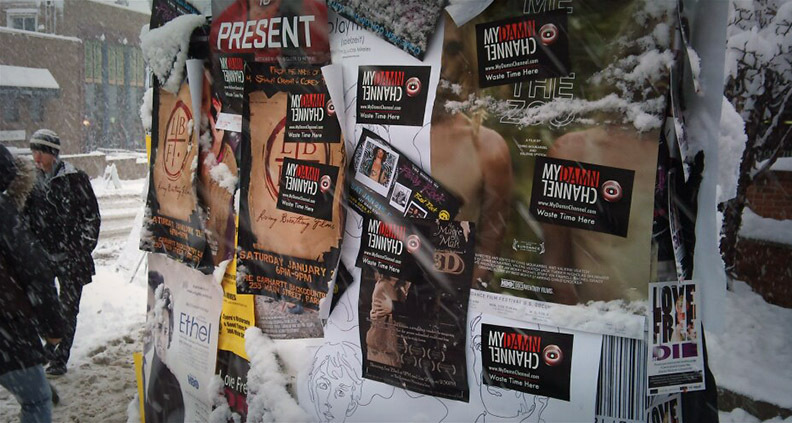 Filmmakers should also take advantage of the local publicity opportunities in that community. Contact the local newspaper, radio stations and send them the EPK. Reach out to local organizations like the Sierra Club if they have an environmental film. These are just some other things for filmmakers to take advantage of to maximize publicity opportunities. What can a filmmaker do if it seems like their film just isn’t getting accepted anywhere? Skerbelis: We had a filmmaker in this year’s program with a seven-minute short film. He was telling us how his film used to be a little longer, but wasn’t getting into any festivals. When he showed it to some friends who gave him some great feedback, he cut about a minute of it and it ended up getting accepted into all these festivals. So it’s very important to get productive feedback before submitting to any festivals. Besides social media, what are some low cost ways to create buzz for your film before you begin the submission process? Skerbelis: Filmmakers need to build their audience early by creating a following for their film by starting with family, friends, if they used a crowdfunding platform, those contacts are important and even acquaintances – have them have their friends and family follow you. Start putting together an EPK and try to get some behind the scenes pictures and/or have director or cast interviews and profiles made or published not only on your website but connect it to your Facebook page and even go to pages or blogs that might be interested in your subject matter and join their conversation. Having a postcard or business card, using the graphic of the poster on it, is a great way to generate interest with people you meet. Going to film festivals, you can make contacts. Once you get accepted into one it’ll be easier to get into others. See who’s attending the festivals. 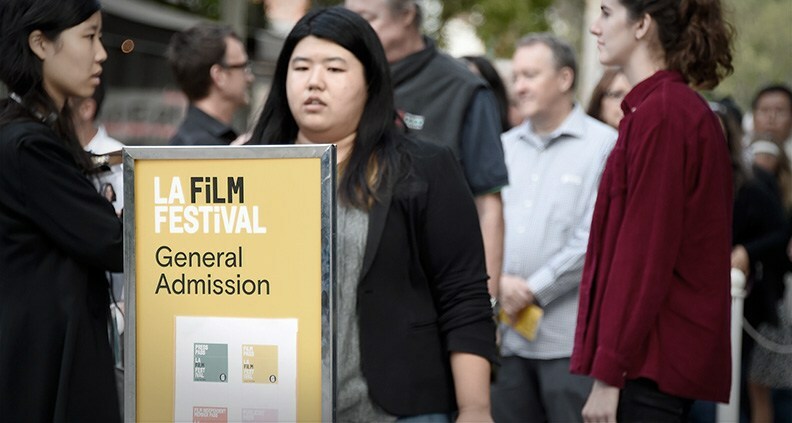 A festival like the Palm Springs Shortfest has a lot of panels and networking opportunities for filmmakers and many short film festival programmers attend the festival. 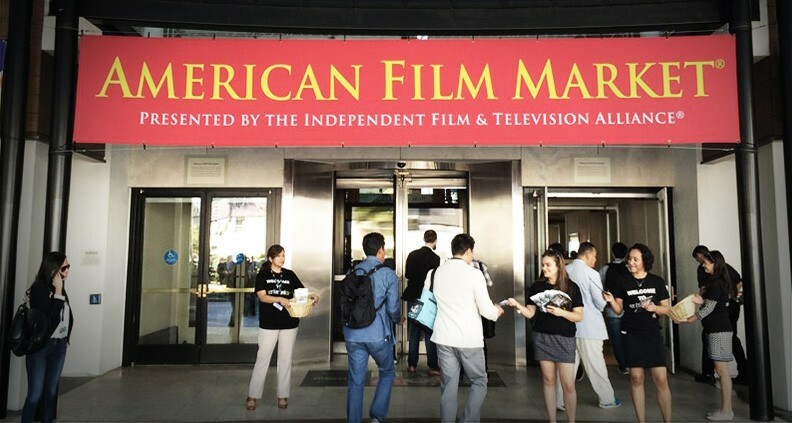 Is there value in trying to get a distribution deal at AFM (the American Film Market) rather than at a more traditional festival? Skerbelis: Taking meetings at AFM to get a feature distribution deal or even Cannes should be a consideration for filmmakers. These markets give filmmakers an opportunity to meet buyers and discuss their projects. Before the market begins they should target companies, their executives and set up meetings. Having a project with world appeal, elements attached like name stars or director will help generate interest. It also depends on what time of the year it is when you have a final cut of a feature. If you have a finished feature film in time for the AFM [in November] and you’re looking for distribution, absolutely go to AFM. But filmmakers should have a sales agent or someone representing the project to help them secure a deal. Attending AFM is a good way for emerging filmmakers to experience the lay of the land and see how deals are made. What are some of the pitfalls to avoid for a first-timer going through the submission process? Skerbelis: If the screeners [of the festival] have already watched your film, you don’t want you to keep coming back with a new cut of your film. You can certainly contact the programmer with questions, but you wouldn’t want to keep asking for the status of your film. Make sure you have correct email and phone numbers on file. If someone on your team who was handling festival submissions leaves, you want to make sure your contact information is updated. Lastly, are there any secrets to having a successful Q&A after a festival screening? To learn more about Monika Skerbelis, please visit her website. Inspired by today’s blog? Anxious to submit your film to festivals starting right now? Submissions to the LA Film Festival are currently open—click here for more info. Break a leg! Not a Member of Film Independent yet? Become one today and be sure to subscribe to our YouTube channel. Follow us on Facebook, Twitter and Instagram.